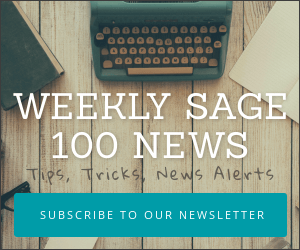 If you are using Sage 100 ERP Advanced (formerly Sage ERP MAS 200) you may be able to speed up reporting times for Crystal based reports by installing a client server ( CS ) ODBC driver. The Client Server (CS) ODBC Driver allows workstations to print Crystal forms and reports using server-side ODBC processing. This option is available in Sage 100 ERP Advanced (formerly Sage MAS 200) 4.10.1 and later. 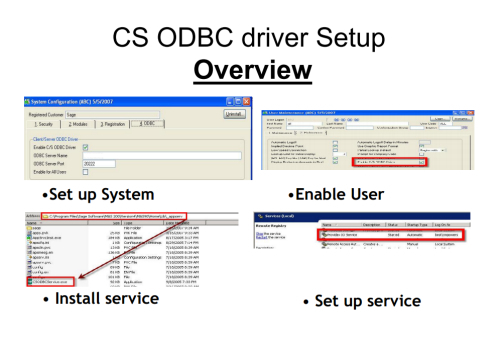 The CS ODBC Driver has been tested and designed for use with Crystal reports and forms printed through the Sage 100 ERP Advanced (Formerly Sage MAS 200) Business Desktop (Launcher). It has not been tested for use with other ODBC applications (for example, SQL Server queries and Access queries). Sage Software does not support the use of other ODBC applications that may attempt to use the CS ODBC driver. CS ODBC Driver is only 15 users (4.40 and less) and have heard this with those encroaching 15. At present there is no command to display available license slots. There are some setup instructions which thankfully Sage have created a greatly simplified “how to” guide for (see link below) as well as a more advanced guide (also linked below). Version 4.5 introduced a new ODBC CS driver which may have increased the concurrent user capacity to 50.